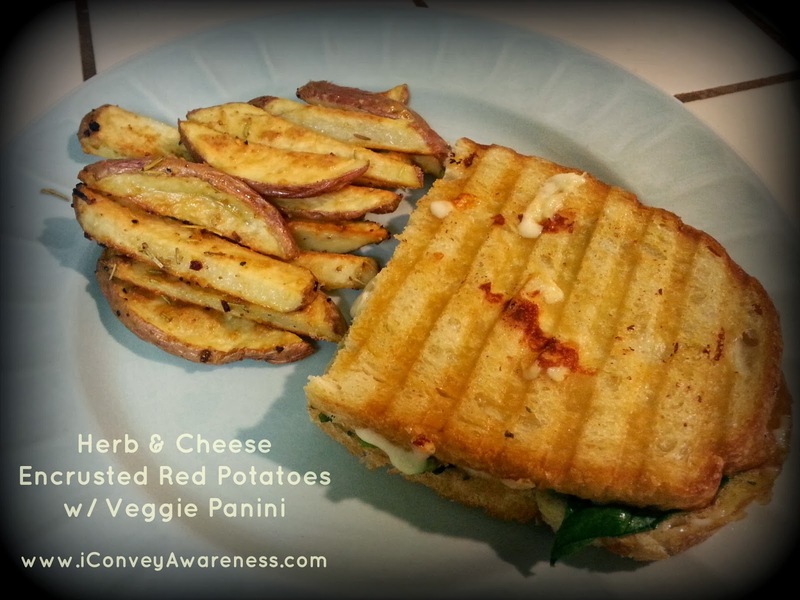 Conveying Awareness with Jessica David: Veggie Panini with Herb "Fries"
This looks great. I love adding herbs to my dishes. 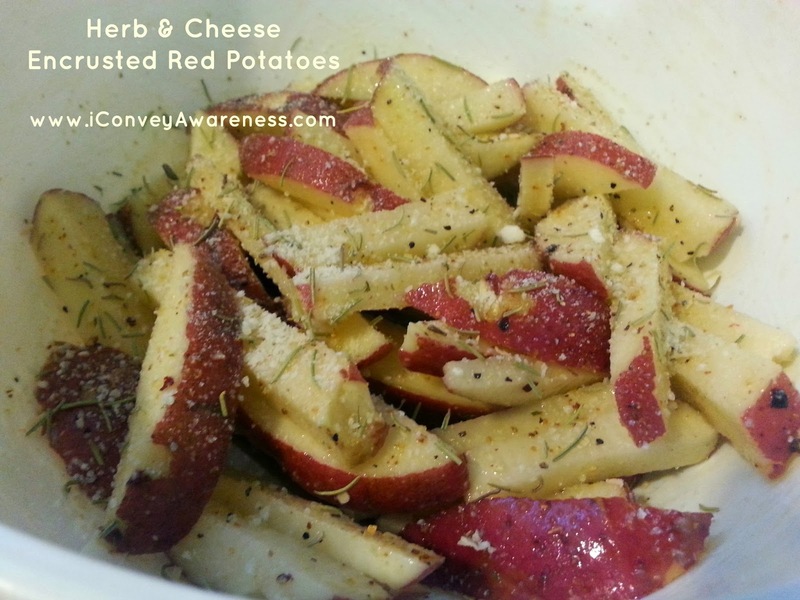 I haven't used rosemary for while, but I will get some tomorrow and use it for the herb fried. Rosemary is one of my go-to herbs. It must have been the 3 years I spent in Italy. They used it on their 'fries' all the time! These look great Jessica. I like home fries quite a bit. Fresh herbs make them fantastic. Your panini sounds delicious too. This looks amazing. I really need to start making home fries and I love the idea of adding parmesan and herbs to them. The panini looks great too. Thanks, I will have to try these.